HOPE – Hope High School student Lizabeth Arroyo did something Monday night that few people are willing to do; she talked about her life in public. 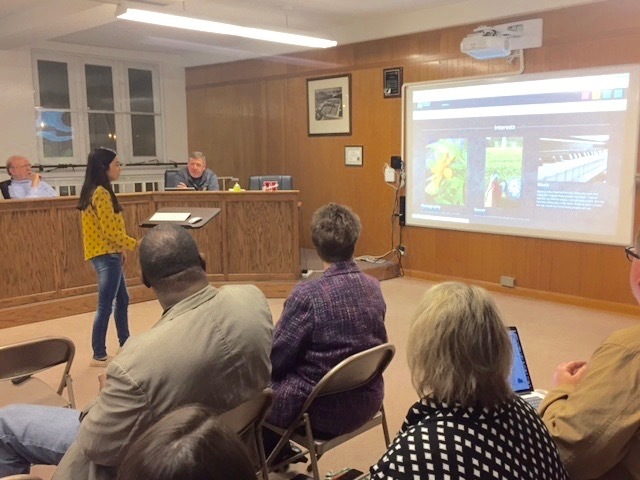 Arroyo represented the Noble Impact class at Hope High School before the Hope Public School Board in an oral and video presentation that was both heartfelt and instructive. Deferred Action for Childhood Arrivals (DACA) immigration program. Arroyo said she is interested in soccer, piano and math; and, wants to find a path for herself from those interests. Noble Impact sponsor Terri Hoglund said the program has let students tell their own stories. Hoglund said the program began as a simple journaling project, but has grown into a collaboration of problem solving and group dynamics. “They came a long way in learning ‘what is an issue?’ and, ‘how can I make it better?’” she said. Hoglund said a key aspect of the program is generating the “buy in” which students need to see that they are doing something that will benefit their lives. The program is based upon four key tenets: Learning the obligations of opportunity; steering in the right direction to learn and grow; create contributions to learning; understanding the practical application of mastery. Superintendent Bobby Hart said the Noble Impact program is currently active at HHS and Yerger Middle School, but plans are to expand the program to the Beryl Henry Elementary School, Hope Academy of Public Service, and Clinton Primary School campuses.